Health is the thing that is needed by every human being, it is reflected in the large number of patients who come to health services for treatment and care, they come from many different groups, ranging from high-class economic group, to the down economy. Home health care is one type of long-term care that can be provided by professionals and non-professionals who have been trained. Home health care, which is one form of health care is a component of a continuous range of health services and comprehensive given to individuals and families in their homes which aims to improve, maintain or restore health and maximizing the level of independence and minimize the consequences of diseases including terminal. Services that meet the needs of individual patients and families, planned, coordinated and provided by the service providers organized to provide home care through staff or contractual arrangements or a combination of both. Sherwen (1991) defines health care as an integral part of home nursing services performed by nurses to help individuals, families and communities achieve self-reliance in solving health problems that they face. While Stuart (1998) describe the home health care as part of the process of nursing at the hospital, which is a continuation of the repatriation plan (discharge planning), for clients it was time to go home from the hospital. Home care is usually performed by a nurse from the hospital initially, carried out by community nurses where the client is located, or carried out by a special team that handles home care. Improve promotive, preventive, curative and rehabilitative. Reducing the frequency of hospitalization. Efficiency of time, cost, effort and thought. Direct access to doctors who refer and treat patients and potential patients easier. The carrying capacity of a large organization financially available to help solve temporary cash - flow in the initial phase. Ease / advantage in securing managed care through a process of collaboration and service integration. The need for comprehensive care of patients will be met. Continuity of care and the internal controls of the cost, quality and access to services. Length of Stay will ter-manage more effectively. There are opportunities to increase hospital revenue. My grandma is getting older but I'd hate to see her have to give up her independence quite yet. Home care is a great option right now because it would still allow her to have some medical care, but without having to move and start a new chapter. I'm thankful she can do that. I think that home care for seniors is great. My grandmother has an assistant who helps her take care of her home. I am very grateful to that assistant. She has made my grandma's life much easier. My mother has been having some health problems and can no longer take care of herself. We have been trying to decide is home health care or a nursing home would be better for her. She really wants to stay at her own home. I am hoping that we can find an affordable option to help her stay home. This was a great article detailing some of the benefits of at home care. My Grandparents are pretty old and they are starting to have trouble taking care of the chores around the house. 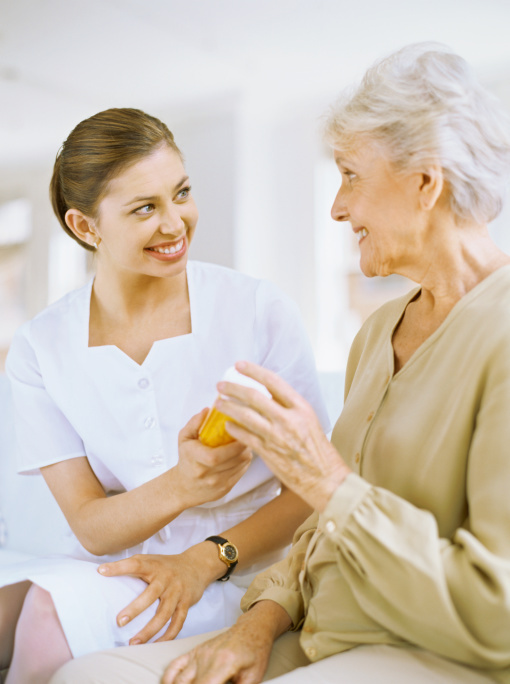 The family has started thinking that it might be beneficial to hire at home care for them. I had no idea that at home care reduced the frequency of hospitalization, I am glad that was included in the article. I will have to show this to my family and see what they think.